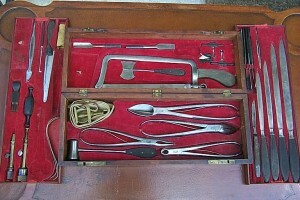 Pictured is a Civil War era surgical kit. It includes the implements used for amputation. Soldiers with horrible wounds often lost limbs in order to save their life. Sometimes we have to cut off things that would otherwise kill us. My consulting and coaching has always involved helping organizations (mostly businesses) morph and adapt. I started seeing a trend about 8 years ago. An increasing need. I also saw increased resistance to solutions. • Amputation of a poor performing segment of our business is difficult. • Eliminating poor performing people from our organization is hard. • Identifying and eliminating what isn’t working isn’t nearly as easy as you might think. It’s the necessary elimination of products and services, people and processes. You can’t neglect the art of cutting. I regularly encounter resistance when I talk with a business about the prospect of jettisoning a portion of their revenue stream in order to save and grow other areas of the business. We fall in love with our business. We become attached to our business model. Sometimes we even have pet products or services. Business people can be notoriously loyal to what launched their career. The CEO who came up from the sales ranks will most certainly have a hard time giving any serious consideration to out sourcing sales. Even if it’s more cost effective and efficient, he’ll likely be too attached to having it in house to consider any other option. He’s got a viewpoint that may be impossible to alter. How we generate income often matters more than we care to admit. It may not seem rational, but to us – it’s our business and it’s perfectly sensible. It made us wealthy. It made our enterprise successful. Our victories in the market were created because what we did and how we did it WORKED. With empirical evidence staring us in the face, business owners can still refuse to see a category or process as a major source of sickness for our business. It’s our leg. It’s our arm. You try cutting off your own arm or leg and see how attached you are to your body parts. Apply the same idea to people and their performance. Organizations of all kinds can get mired down, unable to accurately see what (and who) is working and what (or who) isn’t. Back in the fall of 1999, while running an organization, I crafted what I called, A Quantum Leap. We were about to embark on a new decade, a new millennia. Lots of people were expecting a technology crash prompted by a year that began with 20 instead of 19. Debit cards would stop working. Credit cards, too. Bank accounts would freeze. The world would stop turning because all the computers on the planet had been programmed for a year beginning with 19. I wasn’t terribly concerned. And it wasn’t because I was smart in the ways of computer programming. It was because I was occupied with other ideas. Taking business to a completely new level by using a pivotal moment in history to rally the troops to achieve things never before thought possible. It was during those fall planning sessions I found myself repeating the phrase, “on trial for its life.” I had risen in the ranks of leadership early in my career by doing just that. One over arching ambition trumped all others — How can we do better? That’s at the heart of putting things, and people, on trial for their life. 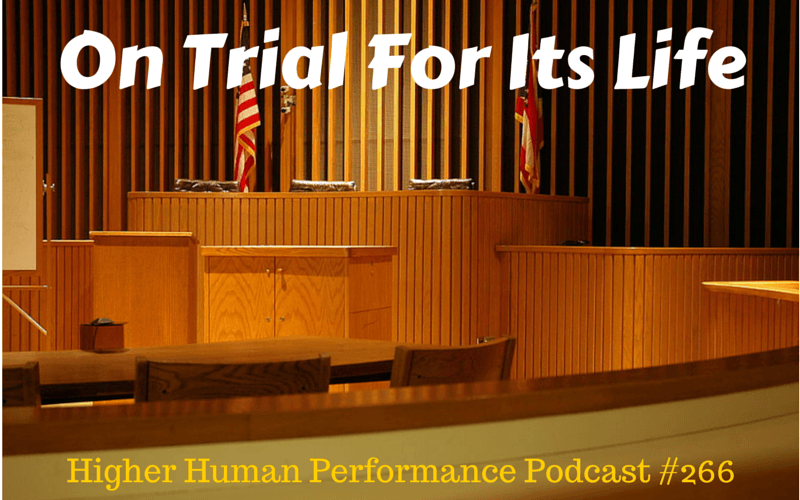 No, I’ve never put people on trial for their literal life, but I have put their performance on trial for their occupational life in the organization. Initially some people think it’s harsh. Mostly, they’re the poor performers. Or the people who don’t want the pressure of high performance. I never much cared what those people thought. Pandering to poor or average performance is not a good business model for high achievement. These decisions shouldn’t be handled flippantly or casually. If a surgeon wanted to remove an arm or leg, I’d most certainly give him a vigorous emotional argument. I’d balk. I’d fight him to exhaustion until he fully convinced me I had no other choice. I’ve spent dozens of hours examining critical data on a single product or service before concluding it needs to be considered for amputation. Then, dozens hours more making the final call, and figuring out the best course of action. It requires more than a casual glance. You need to take a deep, hard look at anything – or anybody – who is on trial. And I suggest you put EVERYTHING on trial on for its life! I don’t blame any leader for their reaction to the necessary amputation of the things that are killing their organization. I simply want to help you through the decision with the best possible solution so you can put yourself in the best position for success. I want to contribute to help more leaders succeed. Too many organizations are suffering. America doesn’t need to lose more small businesses. We don’t need to foster any more inefficient, poorly run organizations. We need growth. Engagement. Health. Prosperity. Tenacity. Remedies. Solutions. Profits. Additionally, I’ll end today’s show with a brief discussion about the benefits of a lower noise floor. Remember, focus is more about elimination of unimportant things than merely trying to concentrate more on what is important.